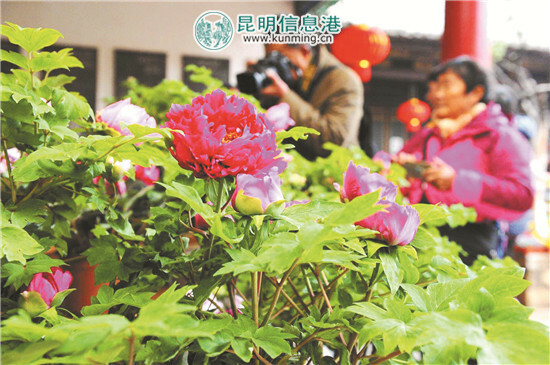 The 7th peony exhibition opened in Tanhua temple park recently in Kunming where is the earliest place to admire blooming flowers in China. It is the first time that 9 colors with more than 8,000 strains of peonies are gathered together to offer tourists a long-term joyful experience in the next two months. The peony here is blooming nearly two months earlier than the natural flowering period through gardeners’ efforts. The exhibition opens from February 8 to April 15. To ensure the peony blooming in such a long time, a batch of peonies will be replaced with new one every 15 to 20 days, and the peonies which have natural flowering period will bloom in late march. Not only the red, there are other colorful peony exhibiting for the first time this year, such as yellow and green. The exhibition area has built four pillars and stands to form a three-dimensional space for manifesting these beautiful peonies. Combining with the history of Tanhua temple and the tale of peony, the park will be immersed in a festive atmosphere to celebrate the Spring Festival. What is more, a retired employee from the park did the paper cutting in the shape of peony and magpies, which decorates the park in an elegant way. Tanhua temple park also prepared a white background board for photography lovers to capture the most gorgeous moment of peony. 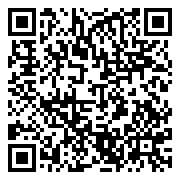 There are photography competition, peony painting exhibition, food court, flower sales and so on during the exhibition period. Whether the Spring Festival comes early or late, the peonies in Tanhua temple park can bloom perfectly during the holiday while the natural flowering period is usually in March and April. Thanks to the specific cultivation techniques which makes the natural growth law of peony broken. It is easier said than done. In the greenhouse of over 6,000 square meters in the park, different batches peonies are placed in line. The peony flower seedlings were like firewood sticks 2 months ago, however, they became luxuriant after more than 50 days. Besides complicated processes, the degree, the light, and the watering are significant factors influencing the time and quality of flowering as well. After 7 years exploring, staff in the park can accurately control the flowering time of each batch of peony, even can be accurate to the day. This advanced technology makes technicians in Luoyang, Henan, where is known as “the hometown of peony”, to feel incredible and marvel at it.